As good as it all sounds, another view at the matter suggests that Nokia could be struggling with ideas to differentiate in the Windows Phone world where it’s taking its baby steps. Latest rumor on the street pointed at four WP7 devices being developed by the Finns, and some of them seemed to look more like a copy of existing handsets like the N8 or the business E-series than something groundbreakingly new. What in your opinion could differentiate Espoo’s handsets? Sound off in the comments after you see Nokia’s main man Stephen Elop explain all the details about Innovate with Nokia in the video below. Great hardware lack of software ideas .....Hopefully that will change ! Go Go Go Nokia & MS . By the way i wanna know , is it possible that MS will buy Nokia ? What could differentiate them? GET BACK TO THEIR ROOTS!! That would differentiate their devices. All of the industry firsts in all of the amazing hardware designs since 1998: changeable faceplates, a chrome phone (first phone to be chrome, first in the world with an internal antenna), a brushed aluminum phone with chrome keys (first to have internal and hidden, slide-up external antenna), first to have WAP, click-button/snap-down keypads, color changing paints depending on sunlight or fluorescent lighting, see-through back lit glass, titanium housings, amazing and different keypads including the weird birth control pill design, precision ball bearings rising screen/keypad up from body, sapphire crystal glass screens, stainless steel sliders, optical zoom cameras, dvd quality video, dual cameras since 2005, NFC years before everyone else, genius twistable gears (like the N93i), and so many more! 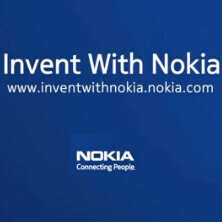 How could Nokia forget what Nokia made, why Nokia was successful, why Nokia was no.1?